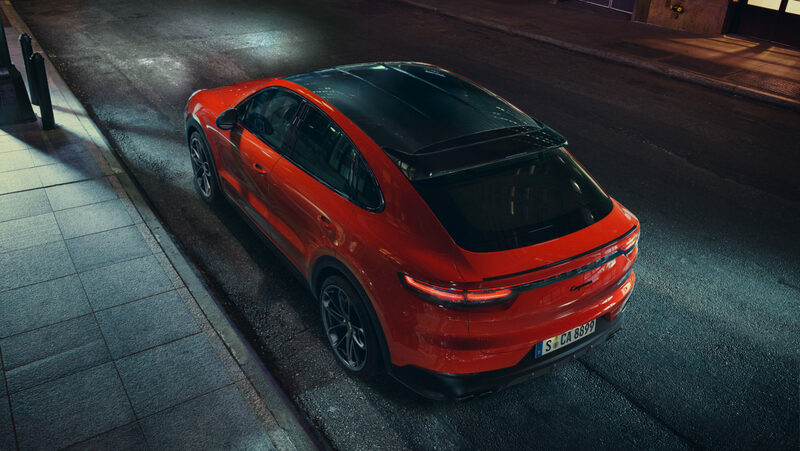 Proportions that are more dynamic combine with custom design elements to lend the new Cayenne Coupé an unrivalled elegance. 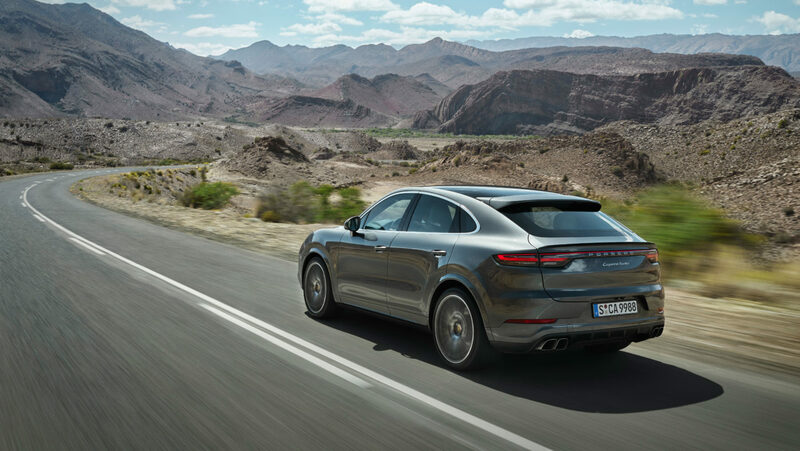 “The significantly more steep roof line that falls away to the rear makes the Cayenne Coupé appear even more dynamic, and positions it as the sportiest-looking model in the segment,” says Michael Mauer, Vice President Style Porsche. That effect is supported by a roof spoiler, which accentuates the distinctive Coupé silhouette. 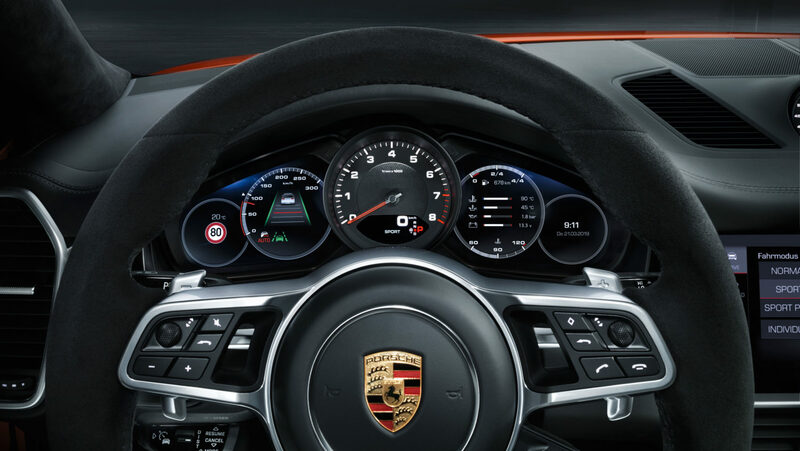 The front windscreen and A-pillar are shallower than in the Cayenne, courtesy of a roof edge that has been lowered. Redesigned rear doors and fenders broaden the shoulders of this vehicle, contributing to its overall muscular impression. The rear number plate is integrated into the bumper, making the vehicle seem closer to the ground. 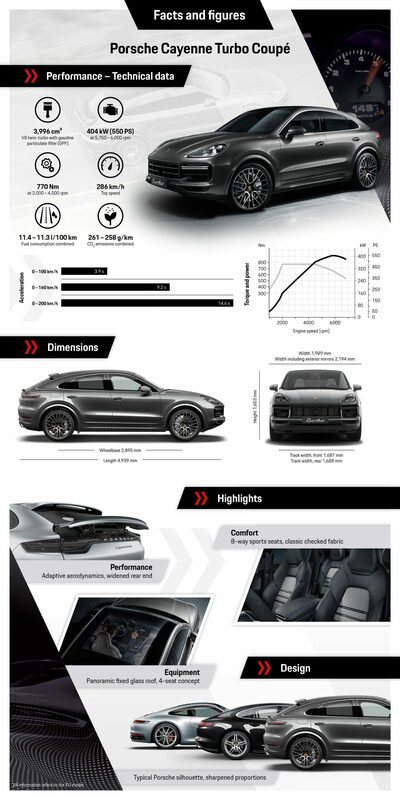 The new Cayenne Coupé comes with a 2.16 m2 panoramic fixed glass roof as standard. The 0.92 m2 glazed area gives all passengers an extraordinary sense of space, while the integrated roller blind protects against sun exposure and cold. 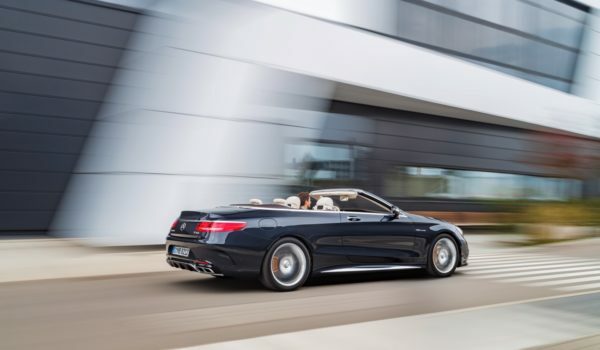 A contoured carbon roof is optionally available for the Coupé on request. The Cayenne Coupé offers plenty of space for up to four people as standard. 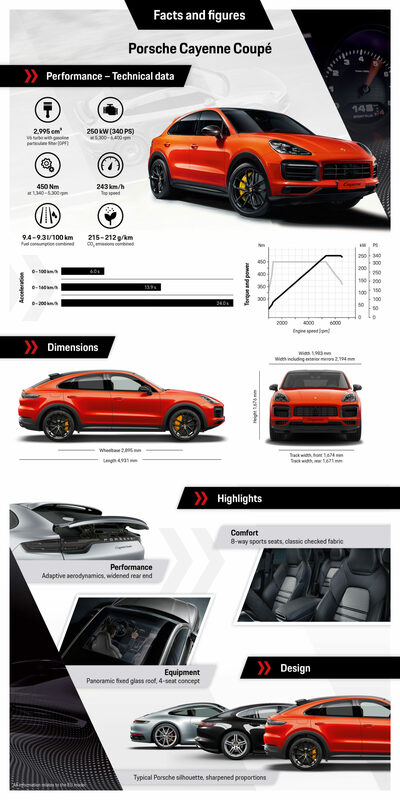 The highly dynamic lines and custom design elements of the new Cayenne Coupé truly set it apart from the Cayenne. 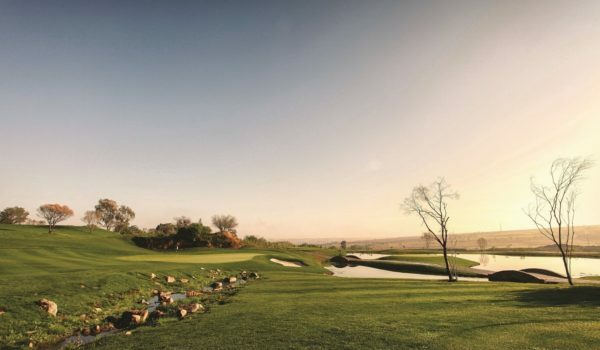 At the same time, it benefits from all the technical highlights of the third model generation, which features powerful drive systems, innovative chassis systems, a digitalised display and operating concept, and comprehensive connectivity. Two high-performance engines are available at market launch.